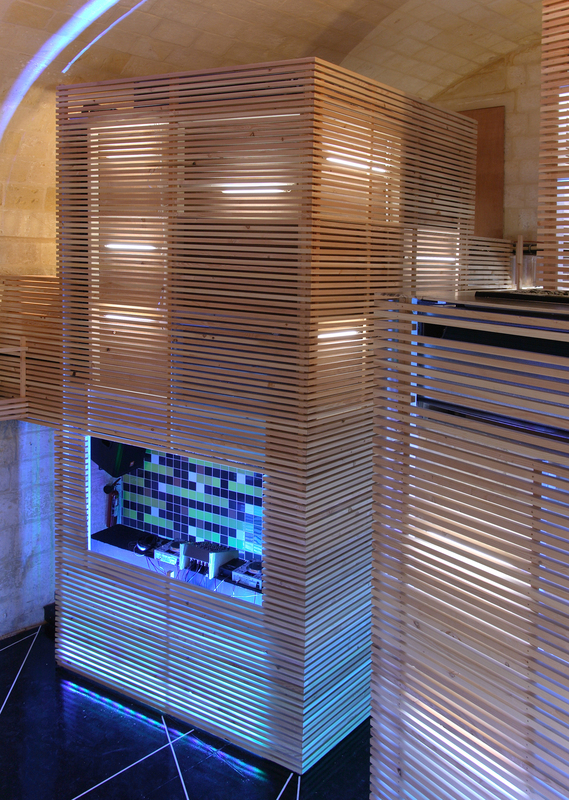 Inspired by the original warehouse use of the 18th century baroque vaults at Pinto Stores on the Valletta Waterfront, the concept of Q-bar became the stacking of crates into sculptural tower-like volumes which would sculpt, in a sense, the interior of the space. 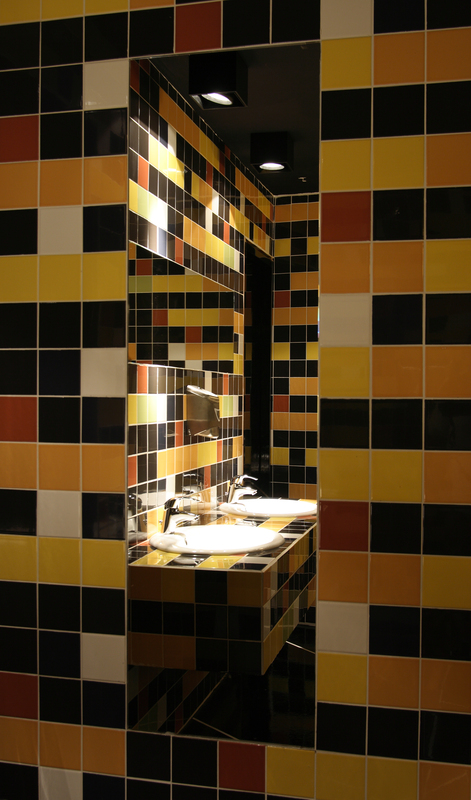 By night, the timber batten clad structures light up and together with the inner layer of multi-coloured tiles and the floor pattern of intersecting lines a city-like scenography is achieved. 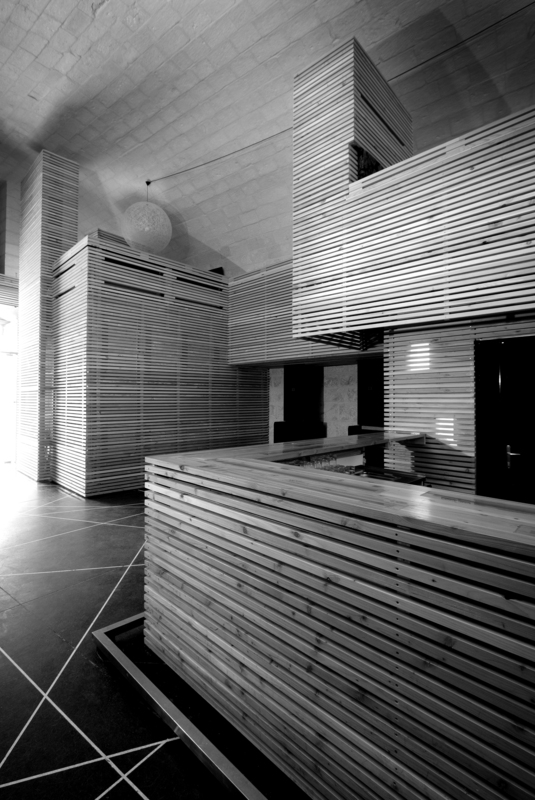 The wooden structures, which add various horizontal layers at different levels, serve to modulate the volume within the bar interior and also house its essential services. 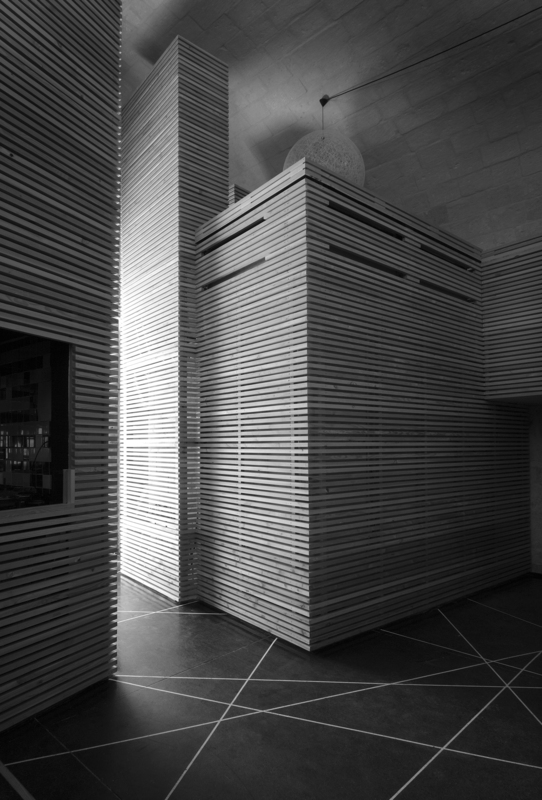 The composition of the timber volumes guide the visitor through the space, while the lighting of the space provides a new sense of mass with every new ambience it creates. 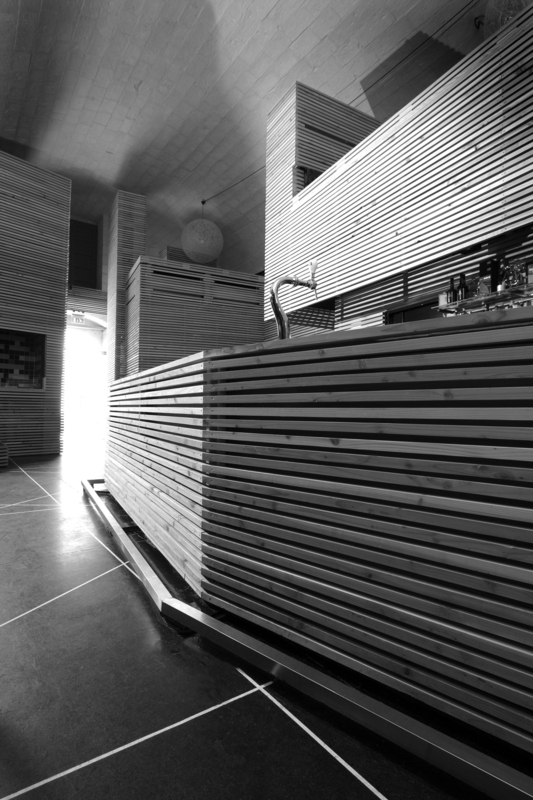 The definition of specific areas within the bar is vague and open to interpretation and the dominating timber structure and texture prevail over the use of the specific areas. 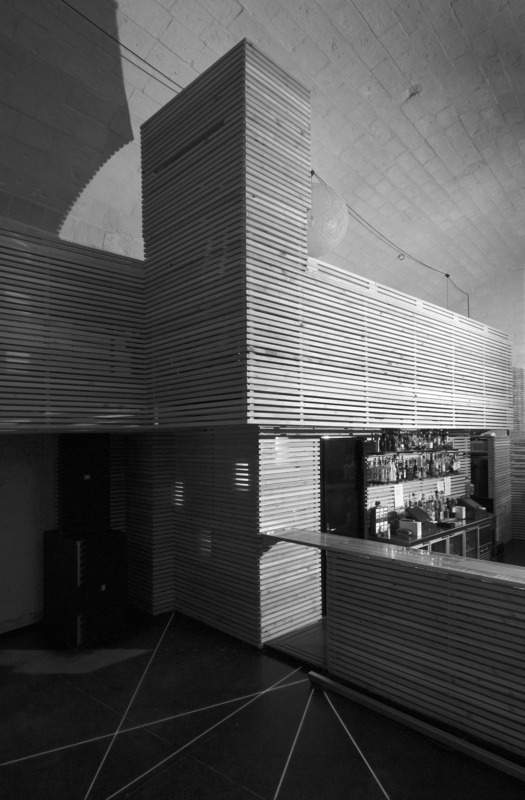 For example, the upper seating area is seen as an extension of the main bar which is located beneath it, while the disk jockey stand is a specific function housed within a timber crate-like structure. 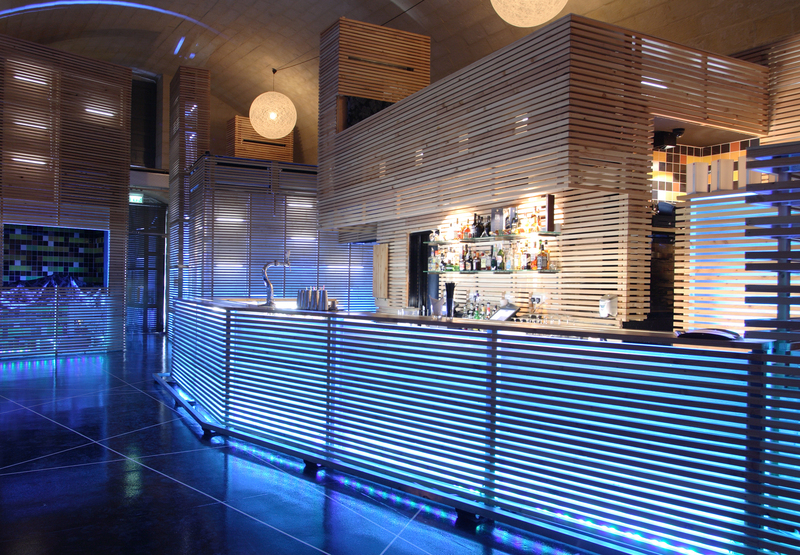 It is the play on colour and texture that allows the visitor to follow the workings of the space rather than the conventional layout of a bar with its traditional eating area, chill-out lounge or disc jockey stand. 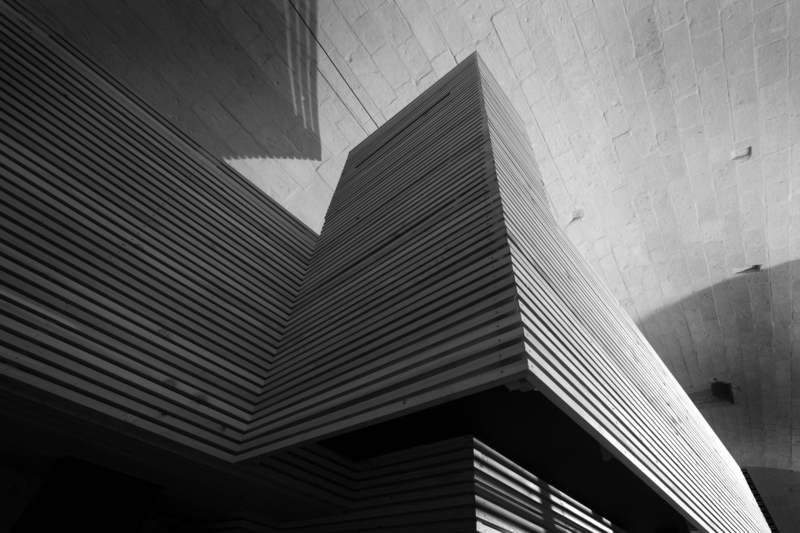 The visitor is lead through the space, disappearing behind the timber towers and reappearing on the dance floor. 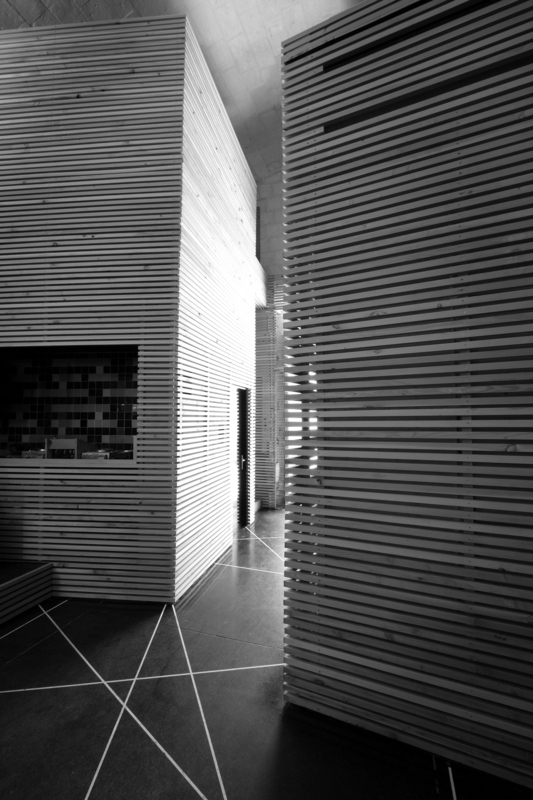 The fragmentation of space and volume allows the visitor to interact in different ways with the vault or the original unique volume, creating space within a space, spaces at different heights etc.